I recently handed my SciFi novel off to the second round of beta readers after a bunch of revisions and cleaning up from the first round. So while that is out there waiting for feedback, I’ve started working on completing my paranormal thriller novel Sleepy Grove. Over the course of this week I read my SciFi book from start to finish making slight changes as I went and I read the first 45K words of SG. It was kind of surreal reading 120,000+ words of my own writing, but it also felt kind of great. As I work on SG, a story about a woman who works at a cemetery and can see spirits, it got me thinking of the horror books I’ve read recently. Most of them aren’t deep horror as my tastes run more to the ‘things that go bump in the night’ type baddies, but I feel like there has been somewhat of a resurgence of late. Maybe it’s always been there and I am just getting a little more into it, but I have read some truly special books over the last year. So here is a horror read round up of my last few months, in no particular order. Blackwater Val by William Gorman. This book was published by Crystal Lake and that’s one of the main reasons for me trying it. I think they do a great job, and if I’m not mistaken, this is one of their first full-length novels. In it the main character goes back to his small town with his young daughter to scatter the ashes of his recently passed wife’s ashes. We learn his daughter has a gift, and there are a lot of dark forces in the Val at play. Mix in the Sallow man, and a witch, and we have a truly creepy tale that reminded me of early King. Great read. The Fireman by Joe Hill. I was lucky enough to get my paws on a signed copy sent from a friend overseas. As soon as I heard about this book I knew I had to read it. Joe Hill’s take on his father’s The Stand. While the story is nothing like it, they both deal with a world where a virus has killed off most of the population. This book is written with perfection; the characters were a great cast of variety, and I felt immersed in their world from the first few pages. The horror aspects were minimal. It was more suspense thriller in all the right ways. Disappearance at Devil’s Rock by Paul Tremblay. 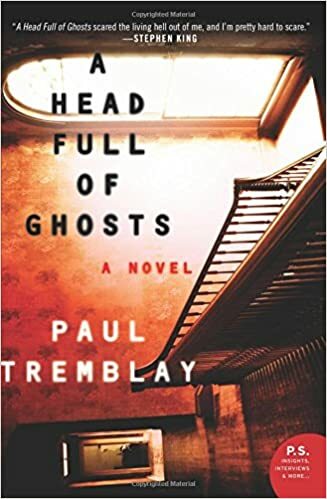 I literally went straight from A Head Full of Ghosts to Disappearance, as I needed more Tremblay. It was odd because I had just finished watching my newest favorite show of all time, Stranger Things when I picked this up and there were some shockingly familiar themes. A boy who went missing after being out with his friends. A mother who claims to have seen him in their house after he was missing…but the similarities quickly stopped as we were drip fed the back story and bits of information to tell us the tale. It was actually a really great read, and while it didn’t have the same impact I was perhaps expecting, it still ranked as one of my favorite in it’s genre over the past few years. I think we will be seeing a lot more of Tremblay in the next couple years. 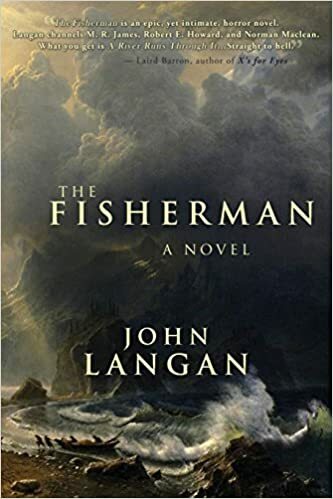 The Fisherman by John Langan. I saw this book and instantly knew I needed to read it. The blurb drew me in so quickly. It tells a tale of two widowers, who bond and find solace over fishing, and when the younger of the two suggests a new spot while in a diner, the owner tells them a tale of Dutchman’s Creek too wild and crazy to have any inkling of truth to it. The book is an interesting tale, weaving two plots together with amazing story telling ability. It was a beautiful and horrifying read, sure to please any fan of the genre. This book is a piece of art. So with those under my belt, I have high hopes for 2017 and on in the horror genre. The Fisherman sounds right up my alley! It was an almost poetic tale, and one I will always remember I’m sure. Go for it!